I love zucchini flowers, they are one of my favourite things to eat. When they are in season this is one thing we love to indulge in, it truly is a seasonal treat. We love it with a cheese filling, and this one is delicious. Combine the goat's cheese, ricotta, lemon rind and chives in a small bowl. Season with salt and pepper. Place the mixture in to a piping bag or a snap lock bag. Cut a 1.5cm hole in the tip or one corner of the bag. Gently open the petals of the flowers and remove the stamens. Pipe the goat's cheese mixture evenly among the flowers. Gently twist to enclose filling. Sift the flour, cornflour and bicarbonate of soda in a medium bowl and make a well in the centre. Add the egg and soda water and use a fork to gently whisk until just combined (do not overmix; the batter should be lumpy). Place extra flour on a plate. 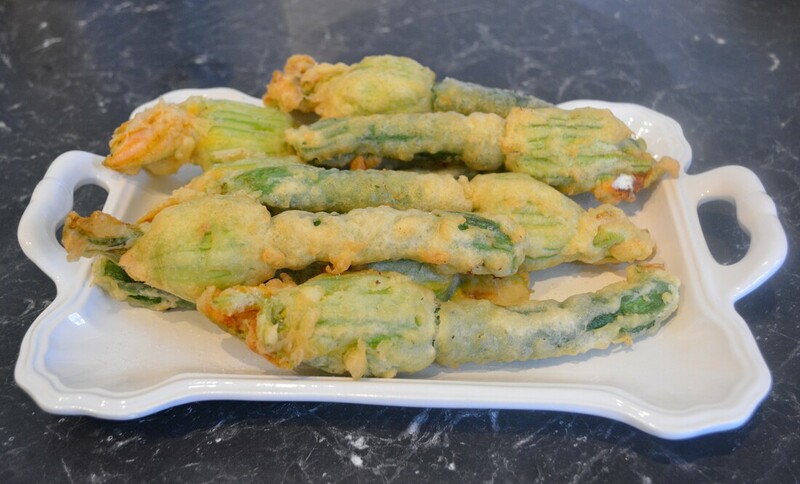 Dip zucchini flowers in the flour to lightly coat. Dip one-quarter of the zucchini flowers, one at a time, into the batter. Shake off any excess. Deep-fry for 2-3 minutes or until golden brown and crisp. Use a slotted spoon to transfer to a plate lined with paper towel. Repeat in 3 more batches with remaining zucchini flowers. 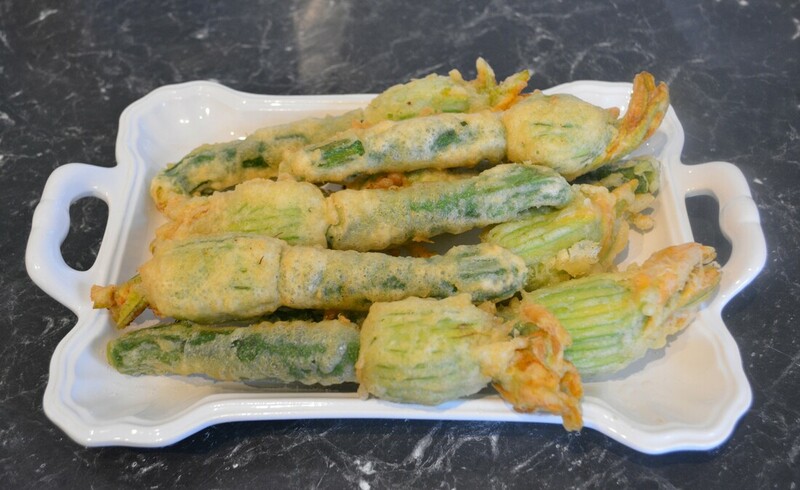 ​Arrange zucchini flowers on a serving plate. Serve immediately with a green salad of your choice.